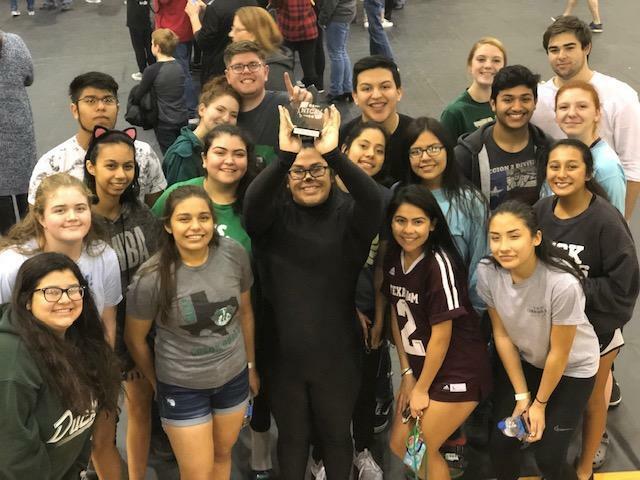 The THS Color Guard competed in their first ever North Texas Color Guard Circuit competition on Saturday, February 2, 2019 alongside guards from 3A-6A schools, winning FIRST place overall in their field of 12. In addition, they also received the highest scores in general effect. In their round of competition, they received an 82.6, which qualifies them to be promoted to a higher level with even greater expectations and requirements. Our goal in entering the circuit competitions was to receive an 80 by the end of the year, so to receive a score this high at our first competition is outstanding. Their show revolves around a cat theme and is set to the operatic piece of the Cat Duet by Rossini. It involves dance, flag work, rifle work, and theatrics. The guard will hopefully be performing this piece on Monday morning, Feb. 18th along with the Taylor Hi-Steppers in preparation for future competitions.